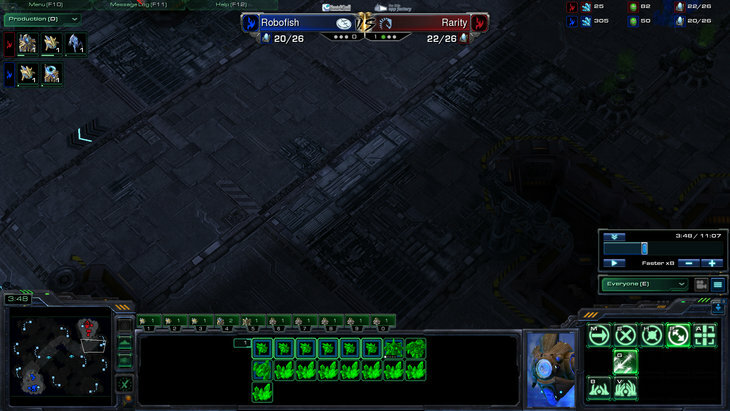 Hello, I have designed a score overlay for StarCraft 2 that blends in with the one Blizzard implemented to SC2 a while back, what it adds is basically the scores used for best of 3 matches with green dots to indicate the score as well as the number. 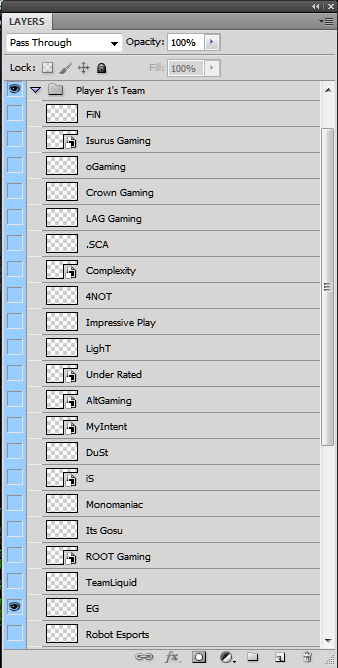 There is also the ability to add the team's logo (already in the file in a group) which i basically have all of ESEA's team logos and some popular ones and the title sponsor (adding soon). In this case Player 1 (Blue) was set to Team EG for display purposes. This will make the Red player have a game won on the original picture shown on top of the post with a green light indicating so. I have not yet implemented the list of sponsors i have prepared yet due to the lack of time but it will come soon, to set it you simple open the "Title Sponsors" tab, set the right sponsor for the right team by opening either "Sponsor Left" or "Right" and making the right sponsor visible. Lastly I just want to remind that before you save you set the Layer 5 to not visible so when you save the image as a .PNG file to make it transparent, you can use it on xSplit for it to go over the game correctly and blend in. Forgot to put download link in the OP my bad. 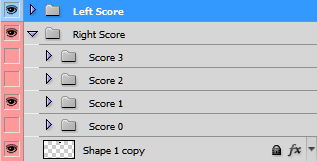 New version supports best of 7 format scores and can be found here! Great work, thanks for putting our team in it!